It is amazing what some people will flush down a convenient toilet! So many items end up in the toilet that have no business being there regardless of signs and other provisions you may have made for the disposal of waste. If the toilet system becomes blocked, swift effective action is essential! But what actions should you take? Do not follow some of the dubious ‘DIY’ advice you find online. 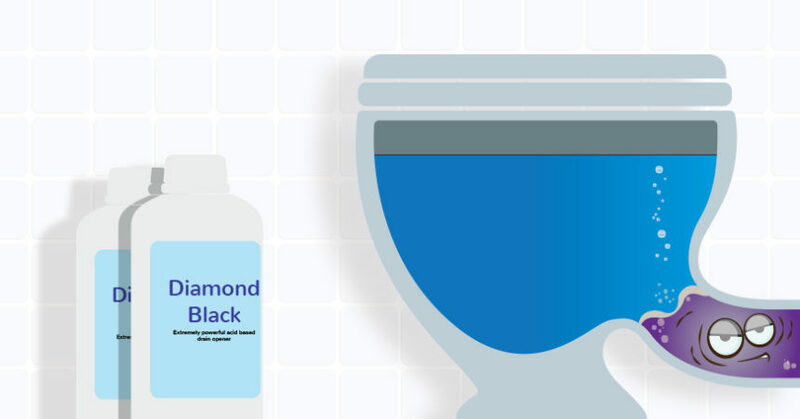 Much of the advice can damage your toilet or drain system and is likely to be a really unpleasant job. Calling a drain rodding or jetting service is likely to be expensive, time consuming, intrusive and ideally avoided. 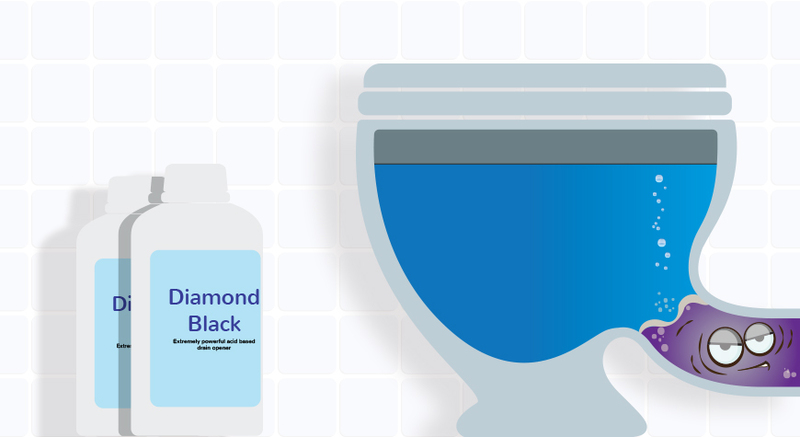 DIAMOND BLACK, from IMG’s Clearly Drainworks range will have your toilets clear and useable in no time. It is an extremely powerful acid based drain opener that rapidly clears the above blockages. Follow up with one of our advanced formulation reodourisers to replace the unpleasant smells with a lovely natural fragrance.